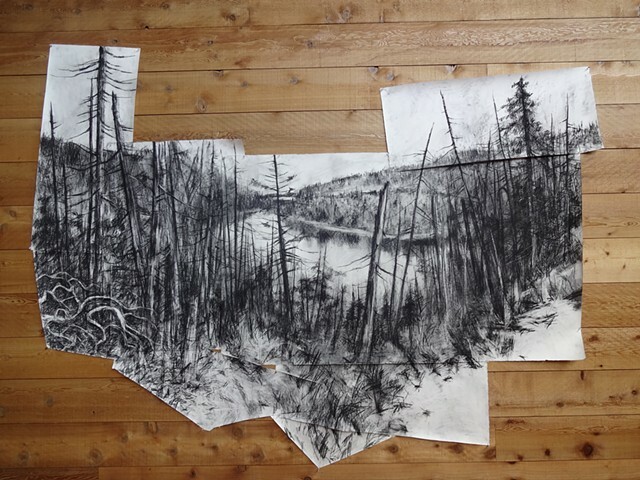 This drawing was completed during my Caldera residency in April 2013. Caldera is located next to Blue Lake, the second deepest lake in Oregon, near Sisters, Oregon. Many hikes around the rim of Blue Lake inspired this drawing.